It is late in the year, but I brewed my 2017 X-Mas Ale last Sunday. Ideally, if have my X-Mas Ale ready to drink by Thanksgiving. Last year, I brewed at the beginning on October. At least, I'm a little ahead of what I did in 2015. This year's version of X-Mas Ale is designed to be a bit lower in ABV. It also has a bit less in Crystal malts. Color should be pretty close to previous years. It will be a couple srm lighter than last year. It will be a couple srm darker than two years ago. This year, I plan to add a couple of ounces of blueberry flavoring at kegging time, mostly to use up the flavoring I used last time I made a blueberry beer. I don't expect the blueberry will come through real strong in this base beer. 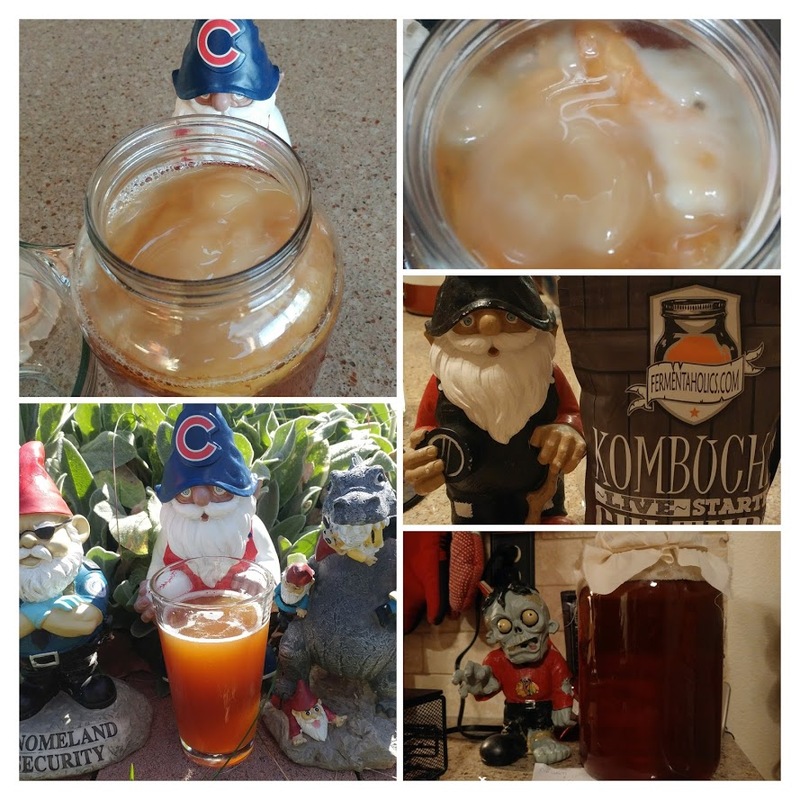 If you follow the SheppyBrew Brewery on Facebook or Instagram, you very well might have seen that I've been making Kombucha. 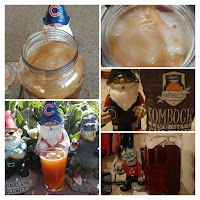 I'm not sure what exactly got me interested enough in Kombucha to try to brew it. I think maybe it was James at Basic Brewing Radio. I've been making sauerkraut and other fermented vegetables for some time. I make homemade yogurt about once a week. So ... I am pretty well established as familiar with fermentation. For some reason, I was thinking Kombucha was mysterious and exotic. I'd never had Kombucha. 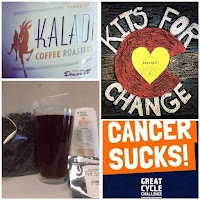 Until the Basic Brewing Radio episodes, I never really thought a whole lot about it. 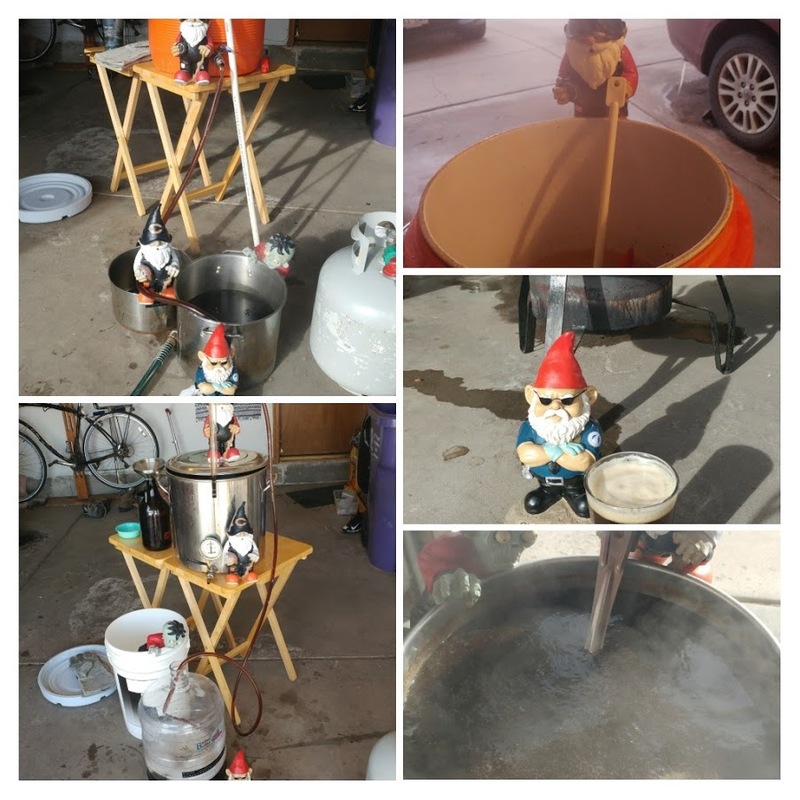 So ... last Saturday was the AHA's Learn to Homebrew Day, and I used that as an excuse to get the SheppyBrew Beer Model to join me for a brew day. I try to get The Beer Model to brew at least once a year for legal reasons. 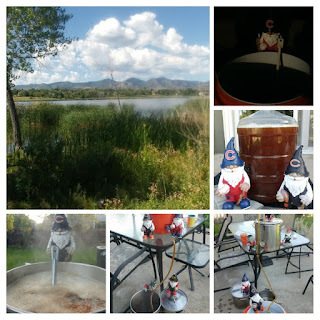 You see, Colorado (like most states) allows the adult head-of-household to brew 100 gallons of beer per year. 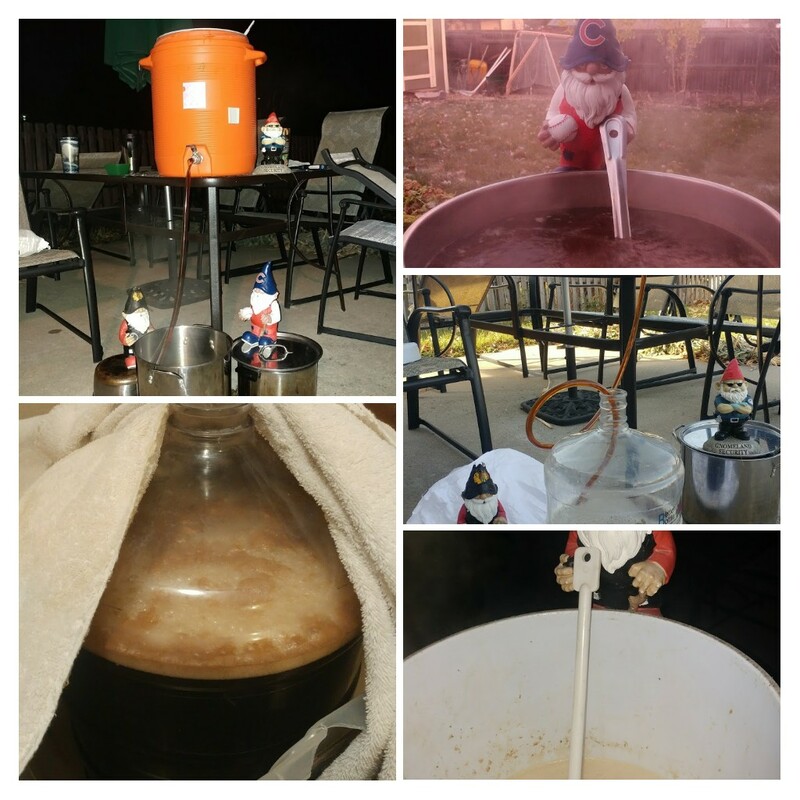 I basically brew 100 gallons of beer per year. However, sometimes I go a little over. The law also allows a second adult in the household to brew 100 gallons of beer per year. As young as she looks, the SheppyBrew Beer Model legally qualifies as an adult in our household. So, by having her brew ... 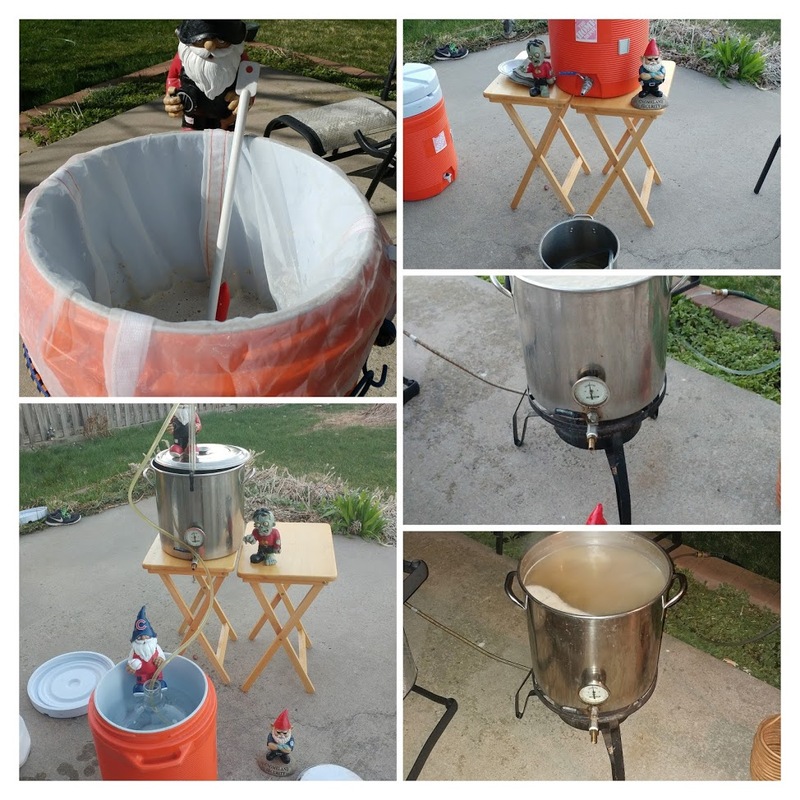 I figure the SheppyBrew Home Brewery is allowed 200 gallons of beer per year. My wife (aka the SheppyBrew Beer Model) is terrified of crickets. It is weird ... I know. It is an irrational fear. For some reason, these little black creatures find their way into our home this time of year, and the boys and I have to remove them for her. My wife (aka the SheppyBrew Beer Model) is also irrationally afraid of black beers. When these beers find their way into our house, I take care of removing them too. Actually, she has gotten better at trying a black beer before becoming afraid of it now. Again, I am embarrassed about how late this the quarterly results of the SheppyBrew Brewery as being posted. I keep saying I'll do better. I think I'm getting worse. Anyway ... the Brewery likes to post quarterly updates on how much we have brewed. 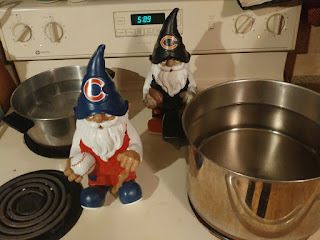 You can see all these updates (including the one you are reading right now) by going to Sheppy's Blog: Brew Stats. 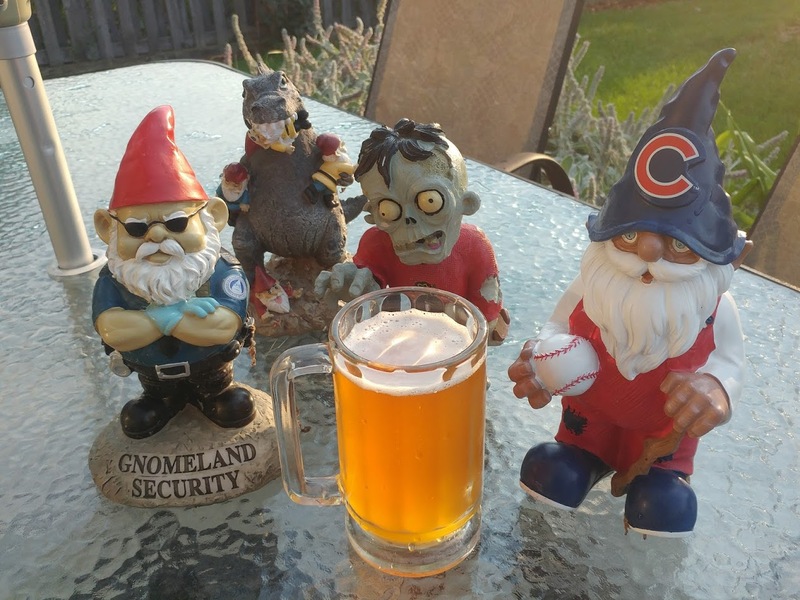 Labels: Brew Stats, Brewing, Colorado Pelican, Falling Leaves, Hail Storm, Rocktoberfest, SheppyBrew, Summer Lovin, T.R.A.S.H. 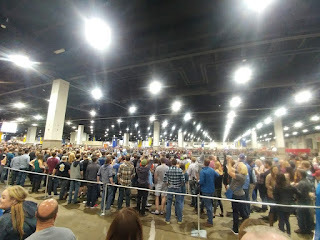 Well, as you probably know, the SheppyBrew Beer Model and I go to the Great American Beer Festival almost every year. Since I'm so far behind getting blog posts up, I won't say much about this year's except it was fun as always. 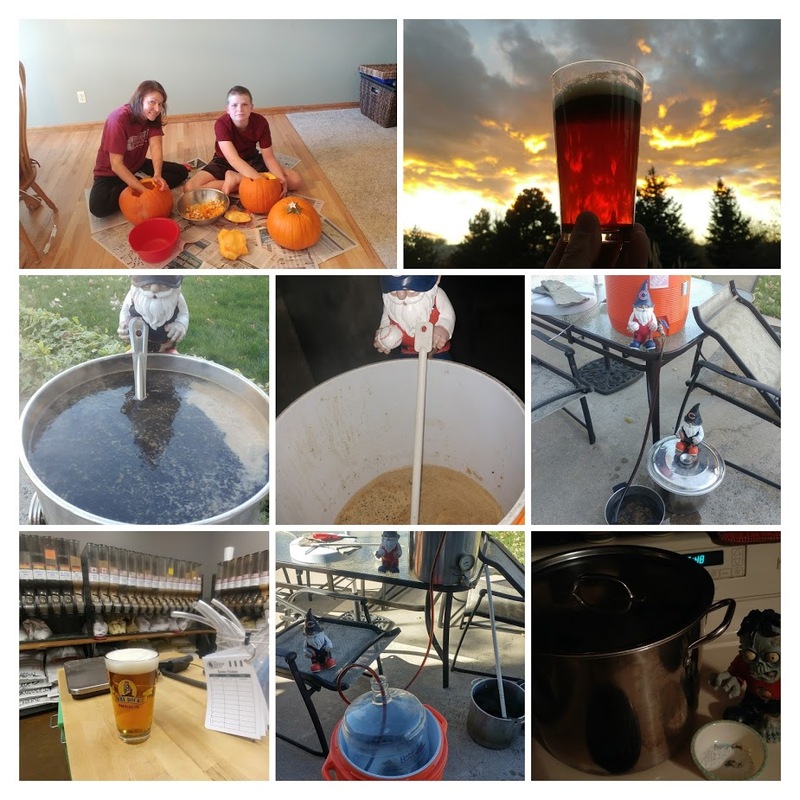 Around mid-September, I brewed my Falling Leaves Autumn Saison. Yes, I am still way behind on posting brew days on this blog. Falling Leaves is, of course, the Autumn version of my Seasonal Saisons series of beers. 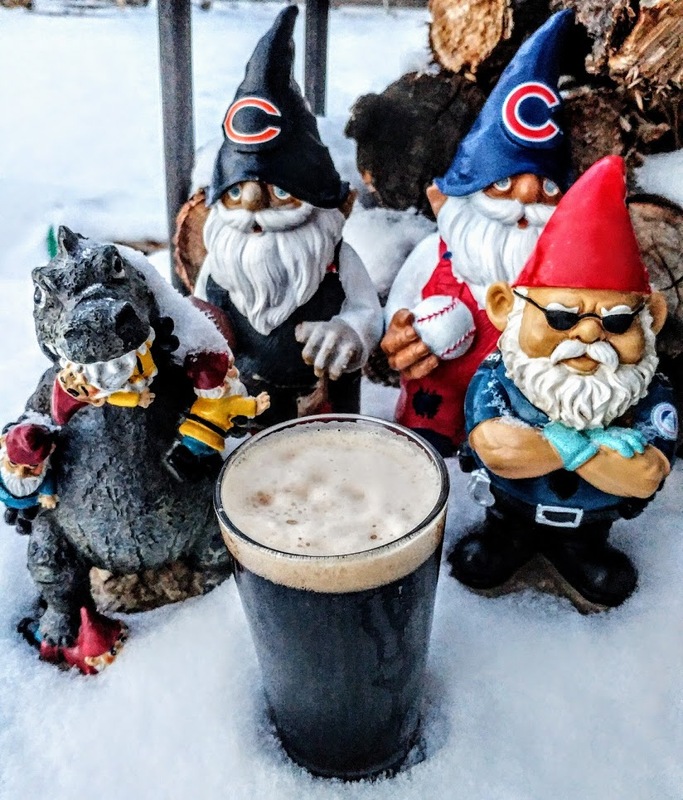 It is darker in color than the Spring and SummerSaisons, but not as dark as the black Winter Saison. 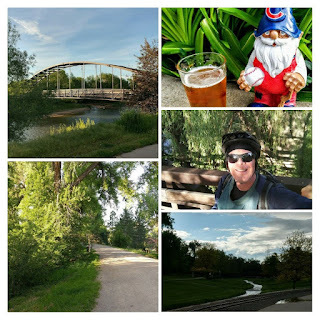 I have not been real good at keeping the blog up to date recently. In fact, I've been really bad at it. I am just now getting around to posting about my September 10 brew day. You may be thinking "September 10 is awfully late to be brewing a 'summer beer'". You're probably right, but I don't really confine my brewing to seasons that much. I'm ok drinking pretty much any kind of beer any time of year. Plus, Summer Lovin' American Wheat is more for the World-Famous SheppyBrew Beer Model anyway, and she can drink Summer Lovin' anytime. To be honest, I have no idea what an "Australian Sparkling Ale" tastes like. Based on the style guidelines, the beer should be dry. Because it finishes pretty low, it has a bitter finish. Other than that, I don't really have much. I am ok calling this an Australian Ale because the yeast I used was "Australian Ale Yeast (White Labs #WLP009)". So, the Colorado Rockies had a great start to their season. They've cooled down quite a bit since about late June and there is no way they will catch the Dodgers for the NL West. 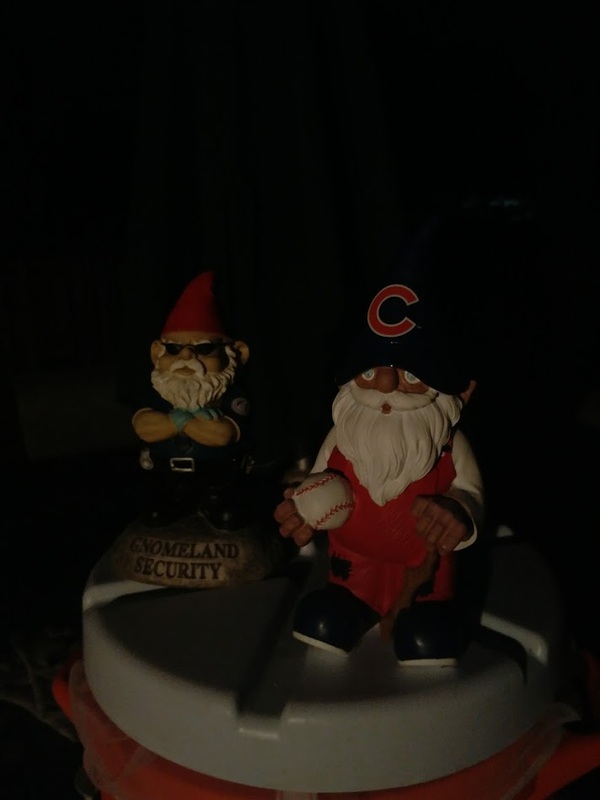 However, they are still in the NL Wildcard race. If the MLB season were to end today, the Rockies would be in the Wild Card game. I'm not really a baseball fan, but I do like to go to baseball games from time to time for the experience. And I think Denver is an awesome baseball town when the Rockies are playing well. Unfortunately, the Rockies are usually out of the playoff hunt by July, so their fans really have to enjoy it when there is a chance to do so. As luck would have it, I have a beer that should help the Rockies get into the post-season. 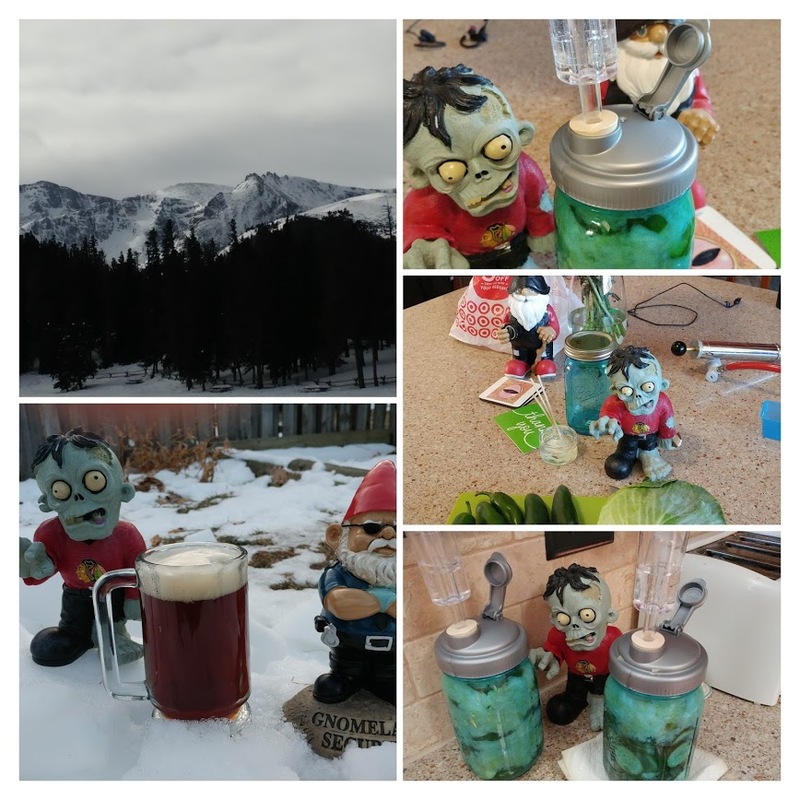 I actually kegged it this past Sunday. Ska brewing company makes an excellent summer beer called "Mexican Logger". I really like this beer. It is light and refreshing with lots of Saaz hop flavor. I recently listened to a pod cast from The Brewing Network on which the Can you Brew It guys cloned the recipe based on an interview with the guys from Ska. The guys from Ska referenced several times that they liked to drink this beer with a lime in it. You may remember the whole story behind T.Ra.Sh. Mexican Lager. If not, feel up to read up on it. I'll wait. So, this interview with Ska made me think I wanted a similar beer to the Ska Mexican Logger. Labels: Brewing, Lager, SheppyBrew, T.R.A.S.H. As you may know, the Brewery likes to post quarterly updates on how much we have brewed. You can see all these updates (including the one you are reading right now) by following this link:http://blog.ericshepard.com/search/label/Brew%20Stats . You know what that means? Summer Saison time. Sheppy Brew's Hail Storm Summer Saison. If you follow my brewing patterns, you probably have realized that I brew quite a few Saisons. Four Saisons a year. One for every season (saison is French for season). I call them my Seasonal Saison Series. I just recently finished drinking my Melting Stream Spring Saison and last Sunday it was time to brew the Summer Saison. 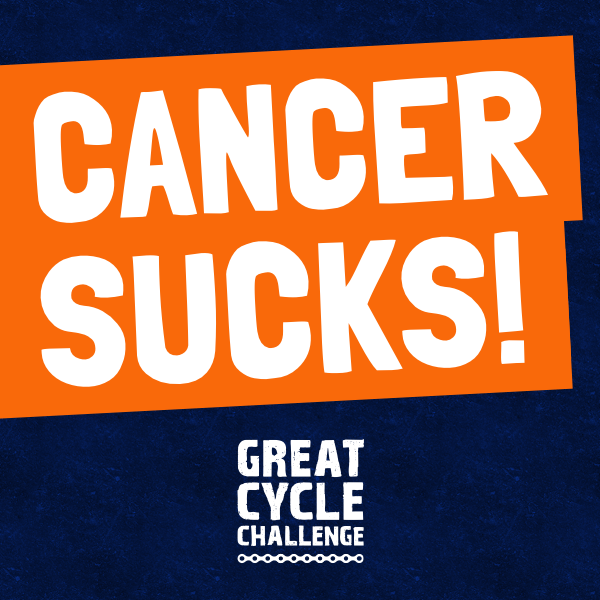 If you follow me on Instagram, Facebook or Twitter, you know how I've been doing on the Great American Cycle Challenge so far. 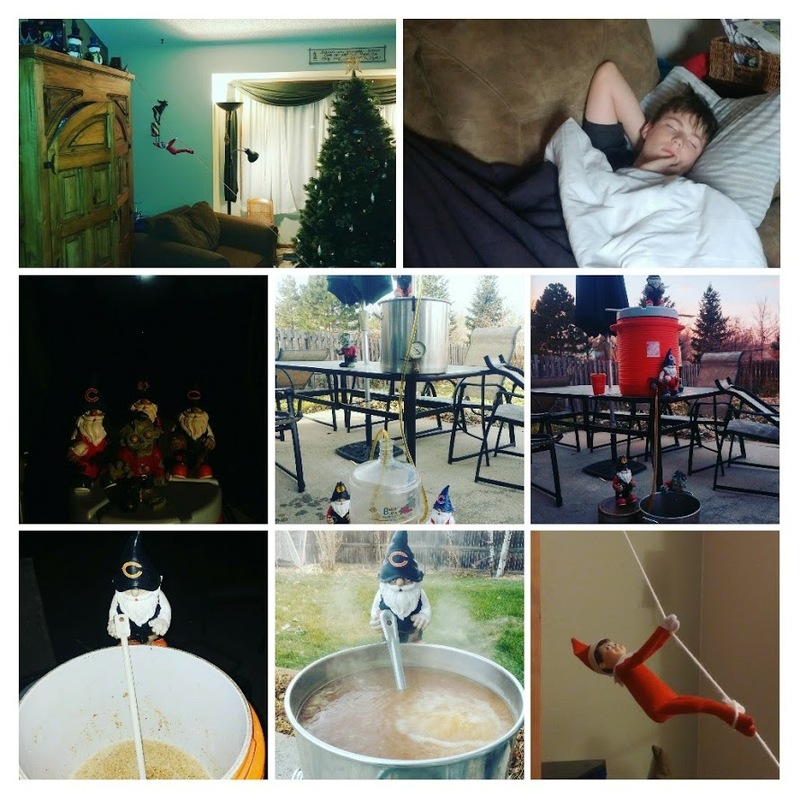 If you don't follow me on Instagram, Facebook or Twitter, you likely don't care. But I'll tell you anyway. Things for going great so far. I could tell you how great, but chances are the totals will be higher when you read this than now when I am writing it. 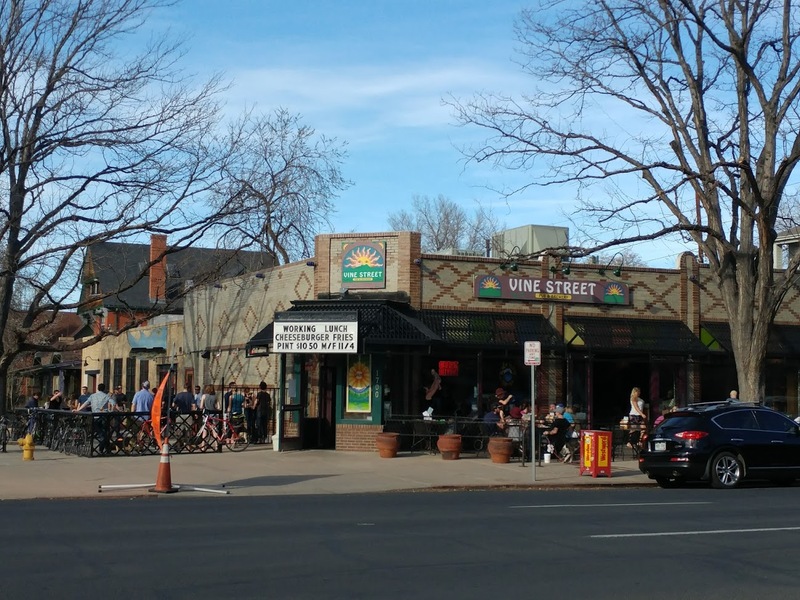 After V is for Vine Street Pub and Brewery, I only have 4 more letters in the alphabet. So far, I've found Denver-area breweries that have started with all the letters from A to V. Will I be able to finish off the alphabet? 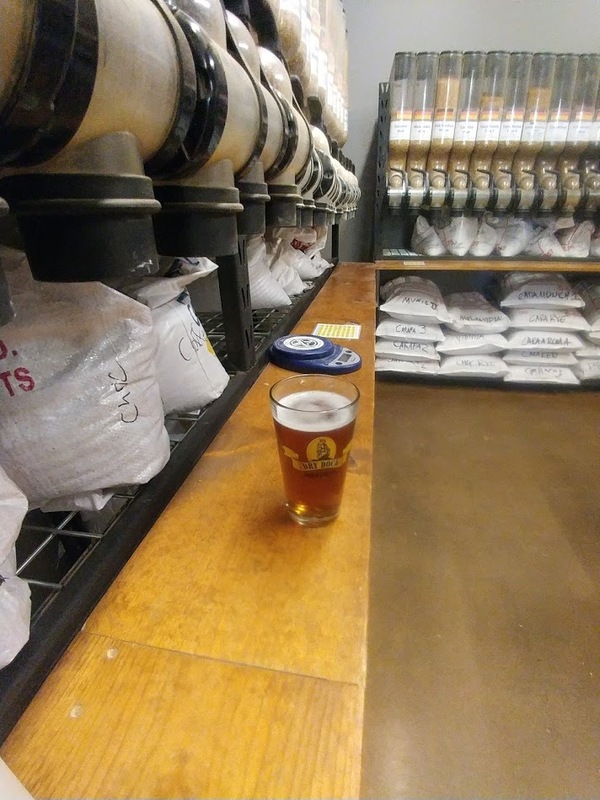 Considering you've probably read the title of this post, you know I've found my W brewery. 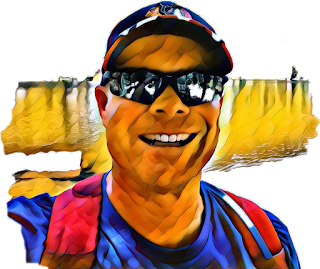 Just in case you're new to this blog, and the concept of what I'm talking about ... check out Sheppy's Blog: A to Z ... I think you'll be able to figure out the concept. Pretty simple, I'm attempting to visit local breweries, and I'm following the alphabet to decide the order that I am visiting them. And after V comes ... W.
I did something different last brew day. My newest local homebrew shop, Broadway Brew Supply, does this cool promotion every month. 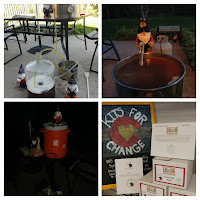 They put together a clone kit with a local brewery and pick a charity. 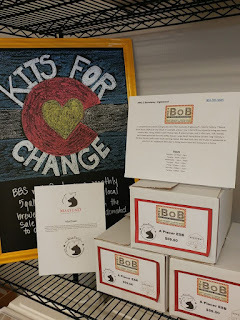 Part of the proceeds of the kit sales go to the charity. 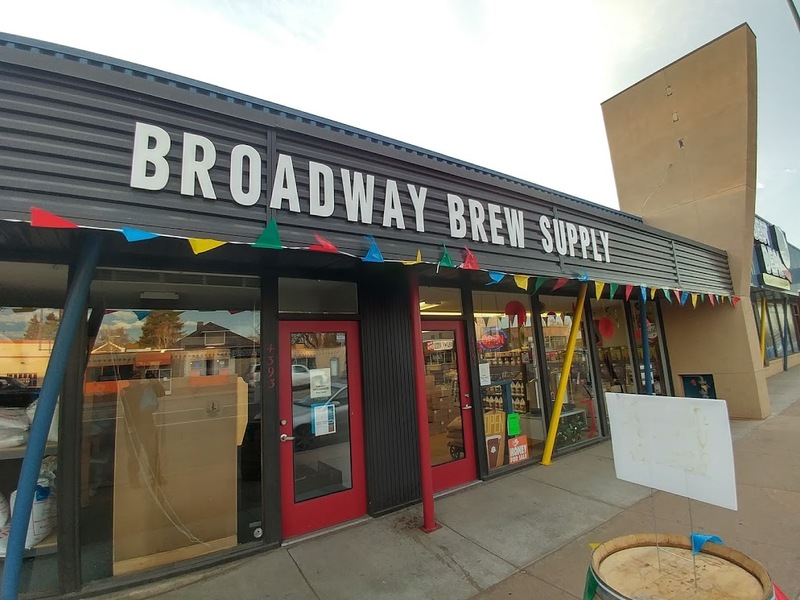 For May, they picked The Brew on Broadway (BOB) and got a clone recipe of Placer ESB. 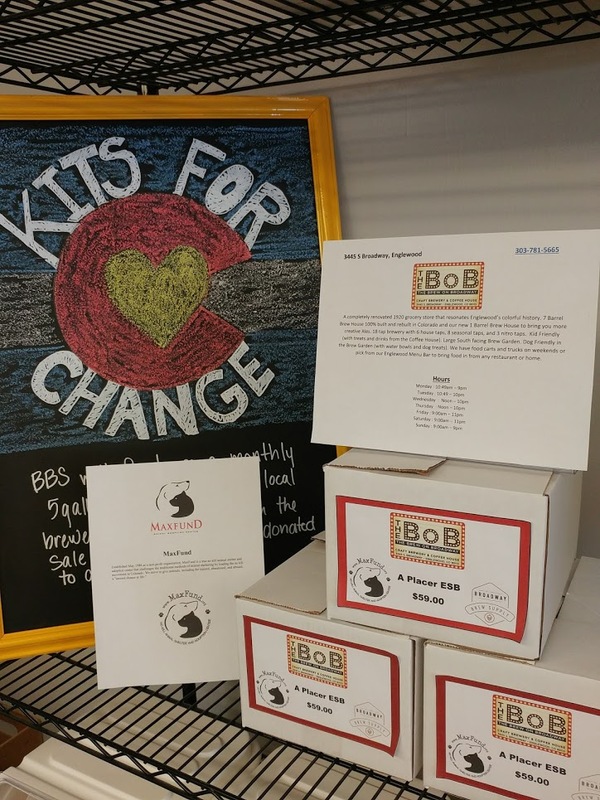 The charity they donated to was Maxfund, Denver's no-kill animal shelter. I wanted to brew something, but I didn't really know what I wanted to brew. I saw the kits on facebook and thought ... "sure I'll give that a try". 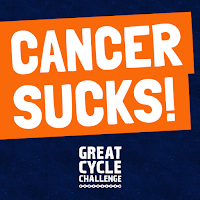 As you may have seen on Instagram, Facebook or Twitter, I have signed up for the Great American Cycle Challenge again this year. 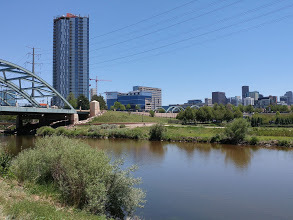 This year, I am pledging to ride an average of 22 Miles a Day over the month of June. 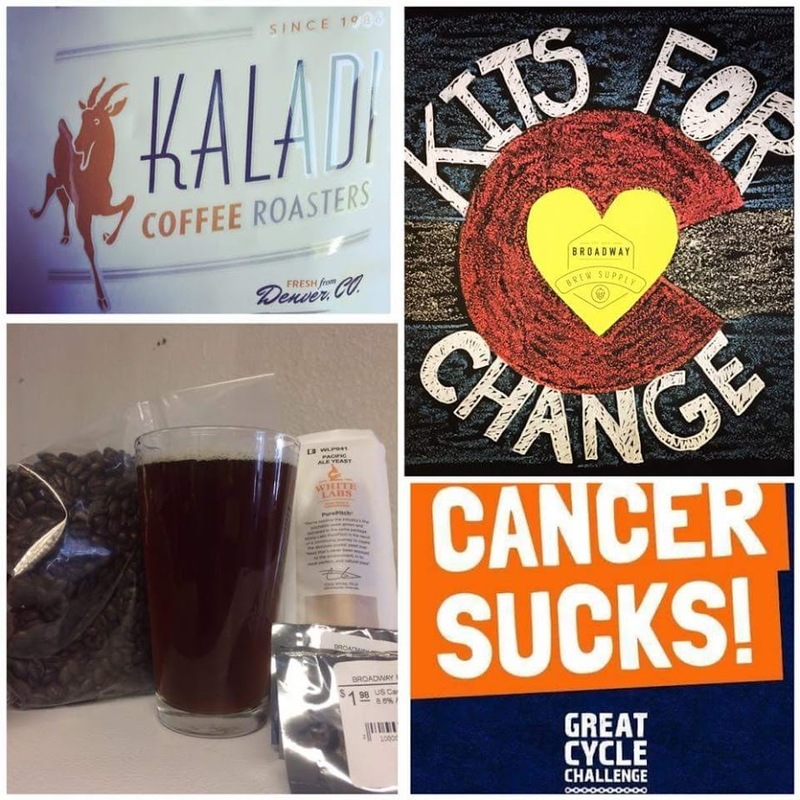 I've already raised $1,265, which is amazing. I have generous friends and family. It is almost June and I still have not posted the 1st quarter results of the SheppyBrew Brewery. Well ... I guess it is time to fix that. I have a blueberry beer in my Kegerator. 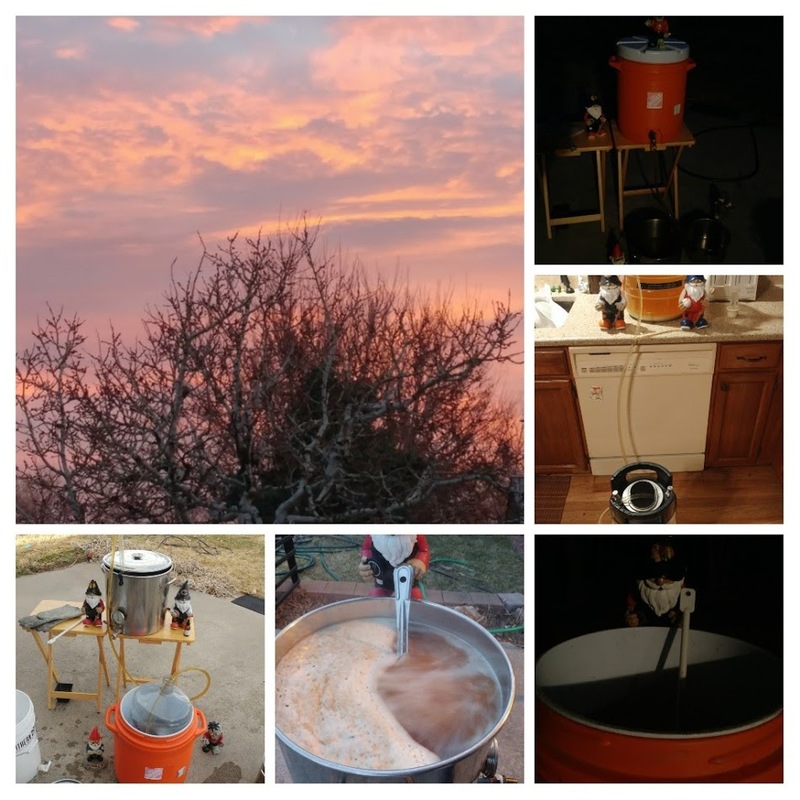 Brew day was actually on April 30. I put it in a secondary fermentor on blueberry puree on May 13. I kegged it just a few days ago on the 21st. Blueberry Beer is something the Beer Model really enjoys. I think out of all the fruit beers, blueberry is probably her favorite. Come to think of it, it is probably my favorite fruit beer as well. Surprisingly this batch of beer is only my third since I came up with the recipe way back in 2012. The way I make fruit beers is that I will make my standard base "wheat" beer recipe. Once it is done fermenting, I rack the beer on blueberry puree and some blueberry flavor extract. I let this sit on secondary for a few days to a week. Then I keg. I will taste the beer and add more flavoring to taste. I brewed this past weekend. Due to family time commitments, I did something a little weird. 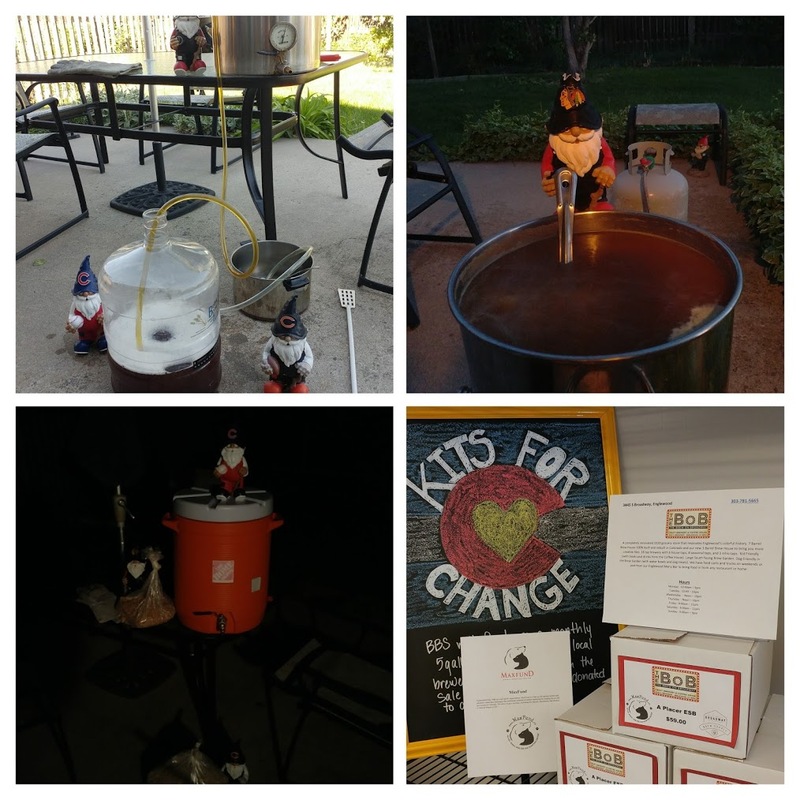 I split the "brew day" over Saturday and Sunday. Well, we'll see how it turns out. I'm pretty sure it will be fine. You may remember that I did something similar last time I made She Who Must Be Obeyed Wheat (see #SWMBO Wheat Brew Day). SWMBO turned out great, so I'm not concerned. 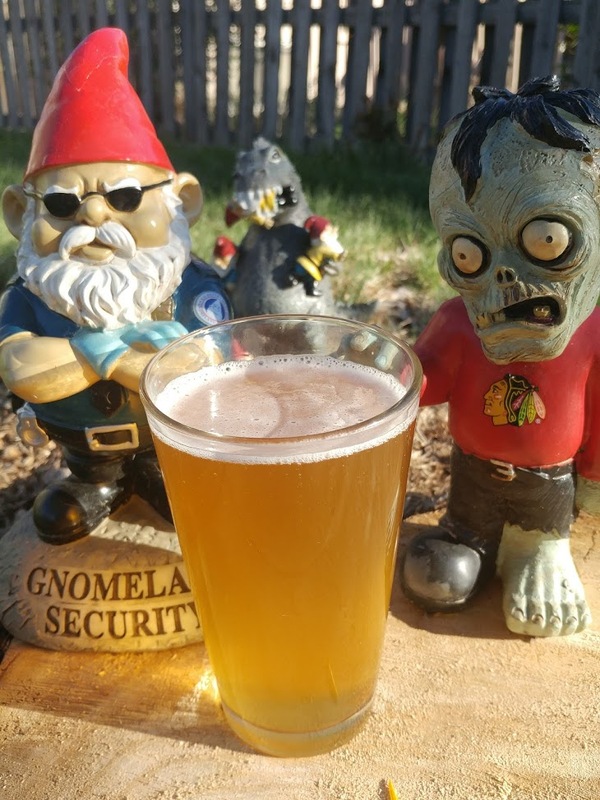 The beer I brewed is my 2017 Melting Stream Spring Saison. For this batch, I decided to change up the recipe quite a bit. First, I made the OG (and therefore ABV) significantly less than previous years were. I also decided to try a new hop "Lemon Drop". 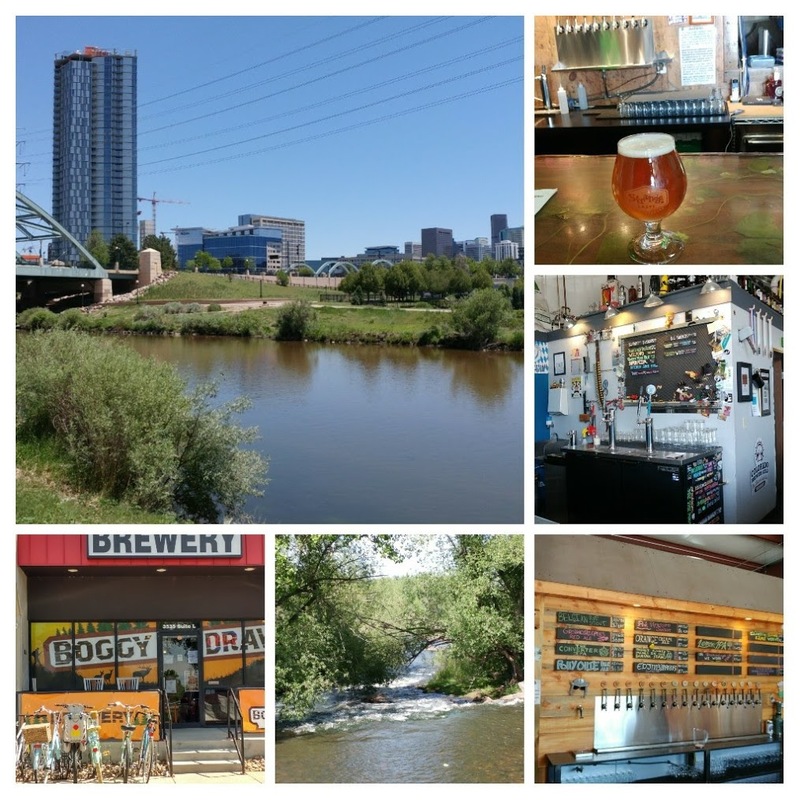 After a great end-of-the-year run in the A to Z Denver Breweries series, 2017 has been somewhat slow. 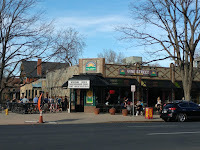 I did hit U is for Ursula Brewery in late January, and nothing since then. I was hoping to finish this whole thing up by now. Obviously that has not happened. And ... so what comes after U? I've won blue-ribbons on two beers in my brewing "career". One of these competition wins was in the "2013 Arapahoe County Fair Battle of the Homebrews" for Helles in a Hand Bock-sket. It was my 5A. Maibock/Helles Bock beer for my goal to expand my brewed recipes to at least one beer in all 23 BJCP beer categories. I remember thinking when I was drinking this beer originally (in May) how great I thought this beer was. "I bet this would do great in a competition." A couple months later, I entered the beer. I won first place in my category and 2nd place "Best in Show". 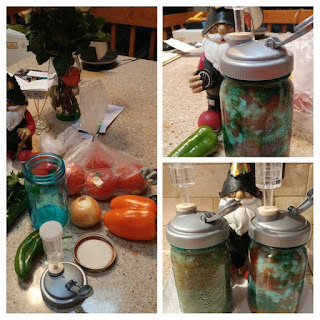 Lately, I've had a few blog posts about Fermented Food. 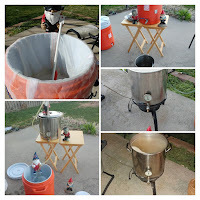 If you spent any time at all on this blog, you realize that I brew lots of beer. 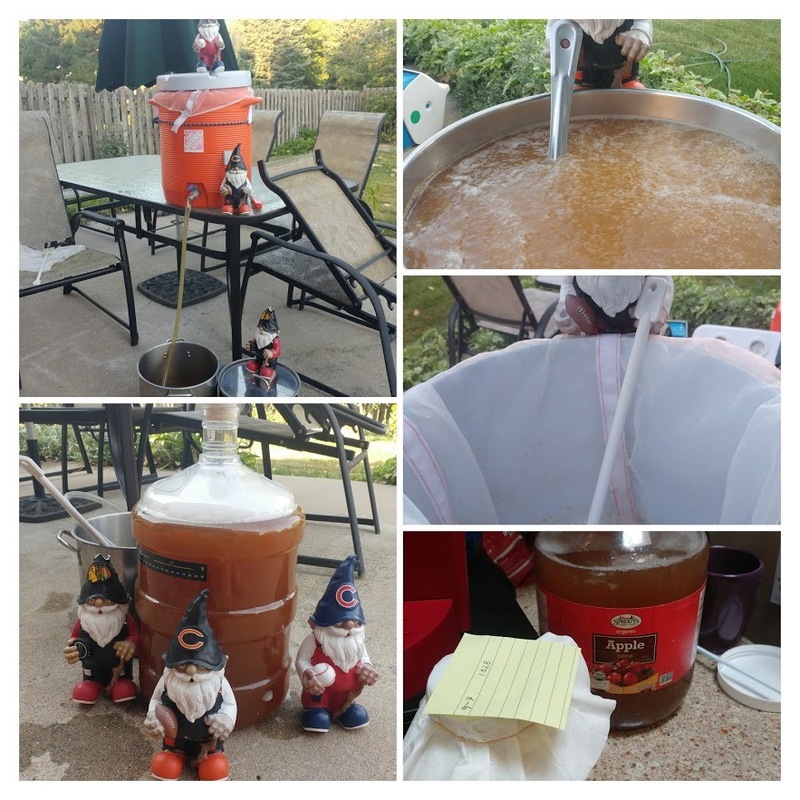 I've also tried my hand in Mead and Cider making. I obviously am into fermenting beverages ... but I am also fascinated by the process of fermenting food. It sort of blows my mind that by introducing bacteria, a food transforms from something very perishable into something that can last longer term. Also, the whole health aspect of probiotics is very interesting. I read all the time how healthy with little buggers are. I hope this is a real thing, because the amount of probiotics I eat is quite a lot. I've been making Yogurt for about two years now. I make and eat a lot of that. 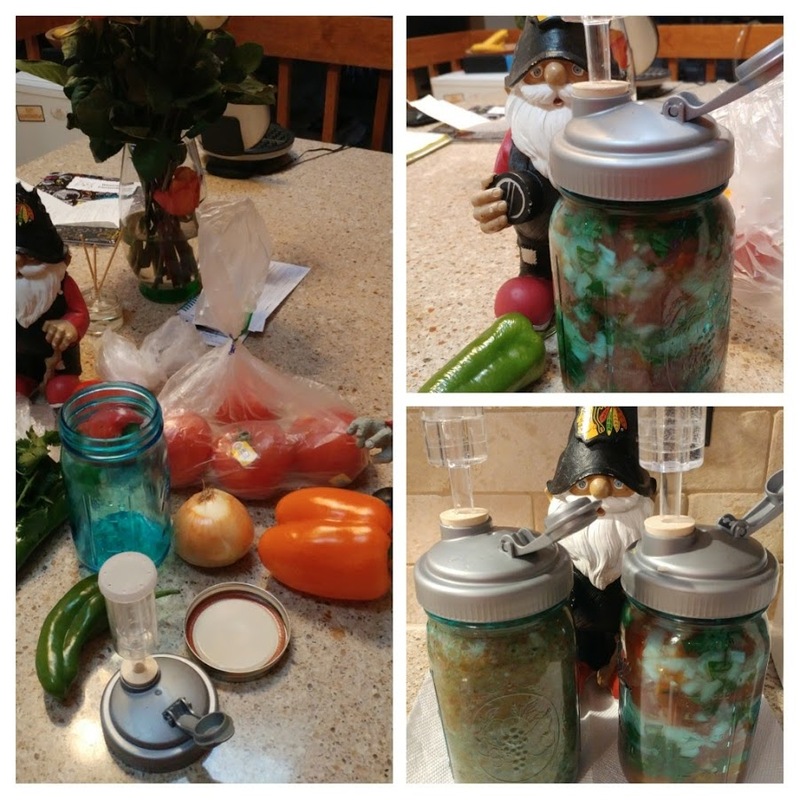 For almost two years, I've been fermenting my own homemade Sauerkraut and Jalapeno Kraut. 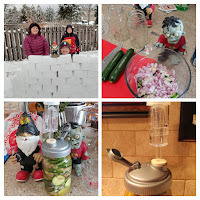 More recently, I shared that I made some Fermented Zucchini. My kids have also expressed interest in making cheese, which I think would be fun to get into. 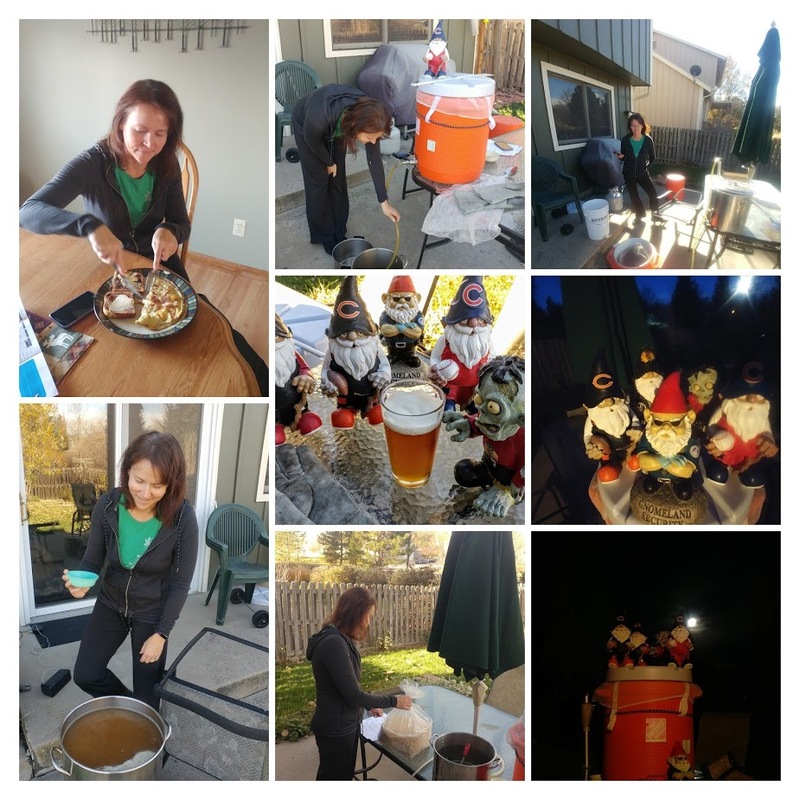 My wife (aka The SheppyBrew Beer Model) tells me she doesn't like hoppy beers, but quite often when I brew a hoppy beer, she tells me that she really likes it. What she really means is that she doesn't like real bitter beers. While bitterness comes from hops, many flavors and aromas also come from hops. My wife isn't alone in this confusion between the words "hoppy" and "bitter" when it comes to beers. I think part of the problem is that here in America, the IPA has become so popular, and for quite awhile, brewers just concentrated on making these more and more bitter. I think at this point, the American hop profile: pine, citrus, tropical has a subconscious association with bitterness which may or may not be there. Often, when other hops are used .. English or German hops for instance, people don't even associate the more floral smooth spicy flavors as hoppy. 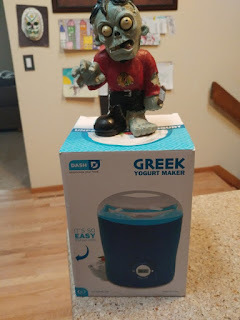 I bought a Dash Greek Yogurt Maker. I got an Amazon gift certificate that Christmas and I decided to spend some it on a yogurt Maker. Perhaps you remember that I had been making yogurt in a crockpot. 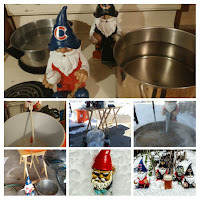 You can read about my yogurt-making adventures at Sheppy's Blog: Yogurt. I still do make homemade yogurt about once a week. But for the last year, I've been using a device intended for making yogurt. When it comes right down to it, the yogurt "Maker" is really just an incubator with a couple of containers. It keeps milk warm while bacteria converts it to yogurt. She Who Must Be Obeyed Wheat. ... aka SWMBO. 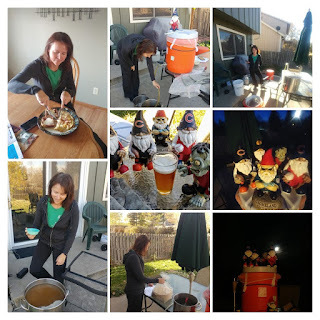 SWMBO came about in summer of 2013 because I needed to brew something for my wife's (aka The Beer Model ... aka SWMBO) side of the kegerator. 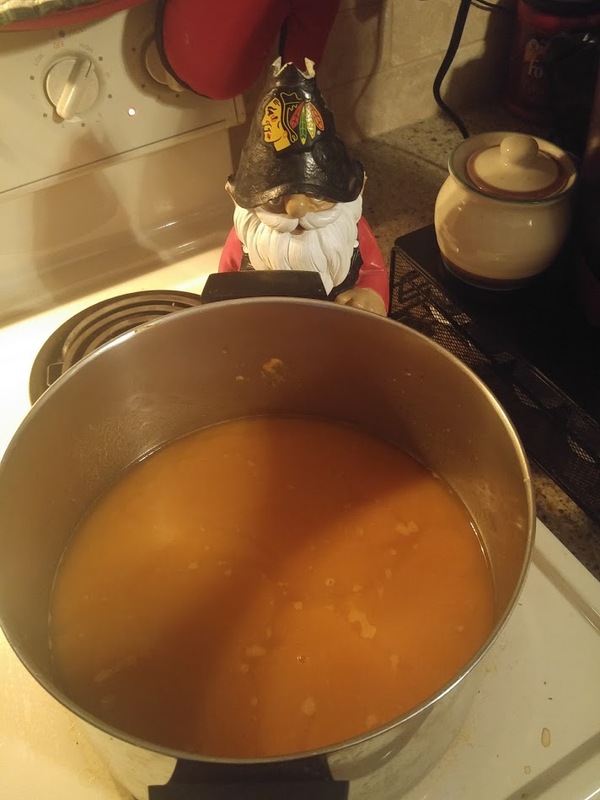 I felt like I wanted to brew a new recipe ... not one of the recipes I've brewed over and over and over for her. You can read more about the details on the Sheppy Brew SWMBO page, but I grabbed recipe elements from Laser Salt, Buckwheat's BPA, Ello Poppet. and Summer Lovin' Wheat. As it turned out, it was a fantastic beer. It is one of those beers that both The Beer Model and I can enjoy. So ... I brewed it Sunday. 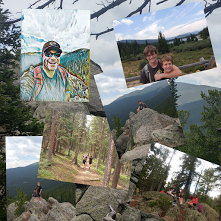 Sunday was sort of a busy day on our family calendar, and I screwed with my process just a little bit to fit things in. 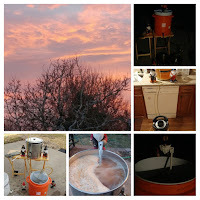 I got the mash started before the sun came up. Nothing unusual about that. 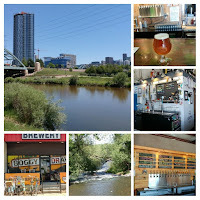 Well ... you may remember that in November and December, I made a lot of progress on the the A to Z Denver Breweries series. 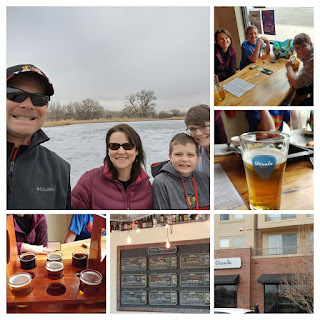 Since mid-November until late December, I moved from N is for New Terrain Brewing Company to T is for TRVE Brewing Company. It is as simple as A B C D E F G H I J K L M N O P Q R S T.
And now ... What comes after "T"? You guessed it ... "U". So, you may recall (see Fermented Zucchini) that I got this Go Ferment! Fermenting Kit with a Christmas gift certificate. As I mentioned, I had ingredients for Jalapeño Sauerkraut. I just needed another wide-mouth mason jar. Sometime during the week, I got another wide-mouth mason jar (actually 4 of them). 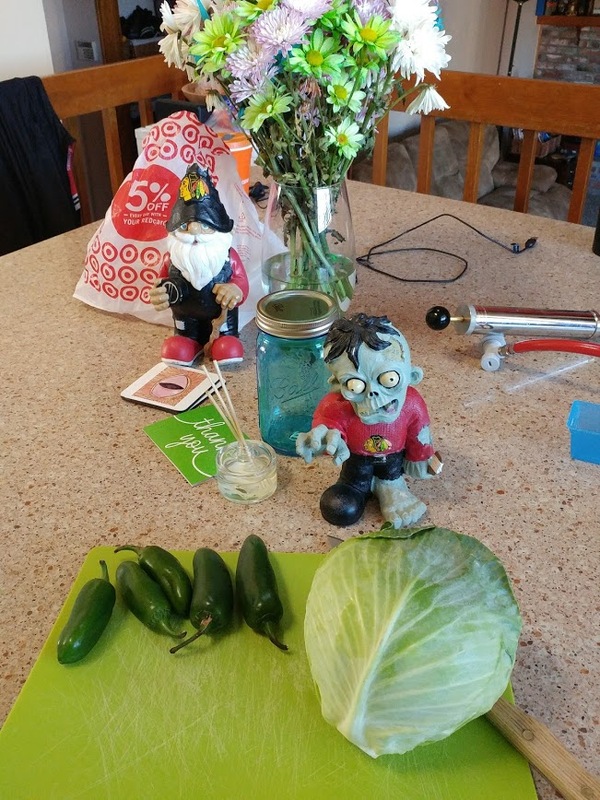 So, this past Sunday, I made up some of this Jalapeño Sauerkraut. Just like the Fermented Zucchini, the recipe is super simple. Some Jalapeños (I got 5 I think). 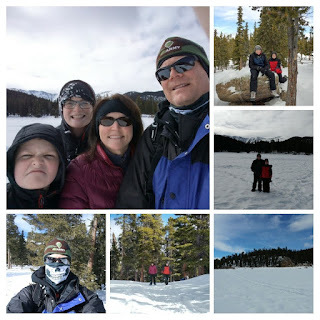 Snowshoeing usually means we go up to Echo Lake. 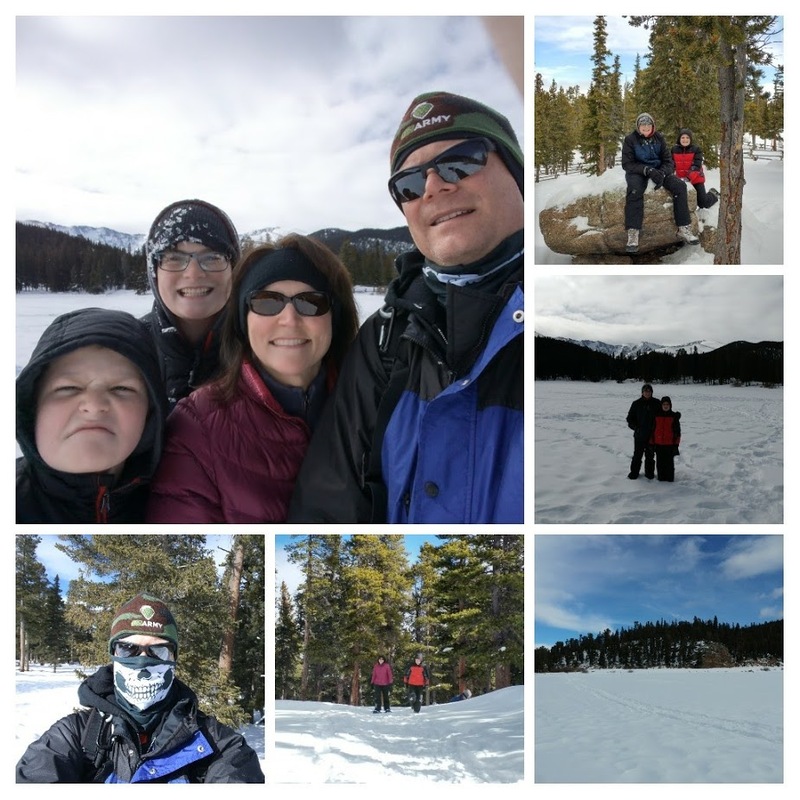 If you've followed this blog at all over the years, you've seen us at Echo Lake in the snow a bunch.... with and without snow shoes. I guess we're boring that way. We tend to do the same things over and over. Anyway ... we went up there again this weekend. So ... I got a couple Amazon gift cards for Christmas. One of the things I got with part of that money was a Go Ferment! Fermenting Kit. If you would like read up on these, you can check out the GoFerment Website. Essentially, all this is a couple lids that can screw onto wide-mouth mason jars. Along with the lids are airlocks to allow fermentation gases to escape without allowing oxygen to get in. Wide-mouth mason jars are not included, but you can get a bunch of those for a few bucks. And the purpose of these simple little things ... to make fermented food. So simple. It is one of those things you say to yourself ... "why didn't I think of that?" Well, I didn't think of it. GoFerment did. As you may know, the Brewery likes to post quarterly updates on how much we have brewed. 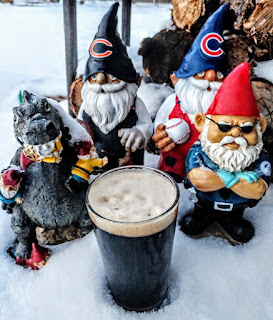 You can see all these updates (including the one you are reading right now) by following this link: Sheppy's Blog: Brew Stats. "Q3 of 2016 at the SheppyBrew Brewery, we only brewed one batch of beer." However, I wrote that before Q3 was over. I must have been thinking that September was part of Q4. 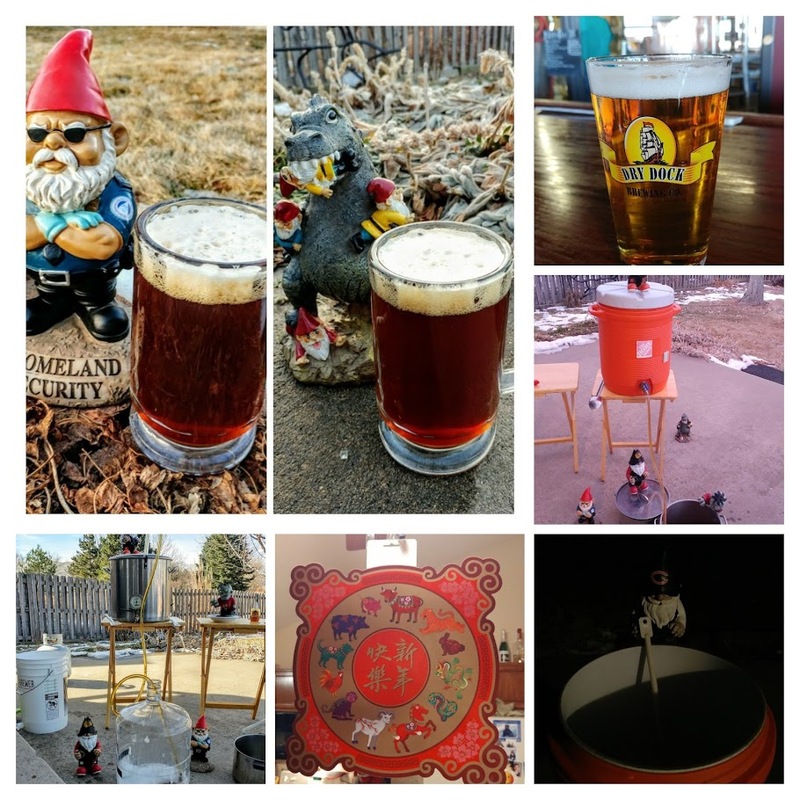 So, I actually brewed a few more beers in Q3. So, I lied to you. Sorry about that. Forgetting that September was part of Q3 transformed it from a light quarter to a pretty busy one.